How Much Does it Cost to Run a Gas Fireplace? The energy consumption of a gas fireplace is usually stated in British Thermal Units. One BTU is the amount of energy required to raise the temperature of one pound of water by 1 degree Fahrenheit. 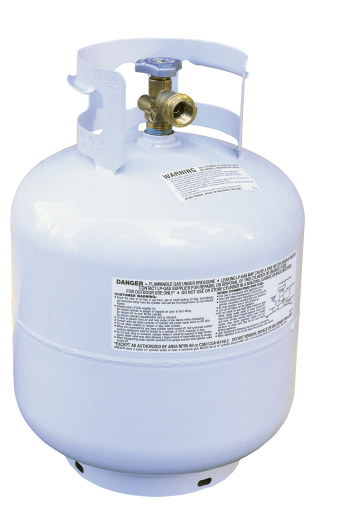 The cost of gas is commonly given in a unit called a therm, which is the equivalent of 100,000 BTUs. To calculate the cost per hour of operating a gas fireplace, you'll need to know the local cost of gas per therm and the fireplace's fuel consumption in BTUs per hour. This information should be specified in the unit's owner manual and on a label on the box or the unit itself. Multiply the fireplace's BTU rating by the per-therm cost of gas and divide the result by 100,000 to get the per-hour cost of running the fireplace. For example, if a fireplace has a BTU rating of 32,000 and the cost of gas is 90 cents per therm, which was the national average cost as of March 2015, use the formula (32,000 x .90)/100,000. The resulting operating cost is 29 cents per hour. To compare the cost of operating a gas fireplace to the cost of electric heat, you must first determine how much electricity costs per therm so that you can compare the two appliances directly. The cost of electricity is typically given in kilowatt hours, and one kilowatt hour is equivalent to 3,413 BTUs. To convert the cost of electricity to therms, multiply the kilowatt-hour cost of electricity by 100,000, then divide the result by 3,413. For example, in March of 2015 the average cost of electricity in the United States was about 12 cents per kilowatt hour. Therefore, using the formula (.12 x 100,000)/3,413, the cost per therm of electricity works out to $3.52 -- nearly four times the national average natural gas price of 90 cents per therm. Therefore, an electric heater with an output comparable to a gas fireplace will cost considerably more per hour to operate than the fireplace. Comparing the cost of operating a gas fireplace to the cost of a gas central heating system requires different considerations. Since both appliances use the same fuel source, the fuel cost is the same. The differences lie in the heat output and efficiency of the appliances. Gas furnaces typically consume much more fuel and produce much more heat than a gas fireplace, but they are also usually significantly more efficient, so more of their energy consumption is converted to usable heat. Therefore, although the per-hour cost of operating a gas furnace will be higher than the cost of operating a gas fireplace, a forced-air central furnace will be better able to efficiently heat a larger space. For example, a furnace with an input rating of 100,000 BTUs will consume 90 cents worth of fuel per hour, assuming a gas cost of 90 cents per therm, as compared to 29 cents per hour for a 32,000-BTU fireplace. However, if the furnace has an efficiency rating of 95 percent, it will produce 95,000 BTUs at a net cost of 95 cents per therm. The fireplace, assuming an efficiency rating of 60 percent, will output only 19,200 BTUs at a net cost of $1.51 per therm and will have run constantly in order to heat a large space. The thermostat-controlled furnace will only come on when the temperature in the living space drops.